The Dreamcast is a perfect example of a console that had relatively low commercial success, but a huge underground following after its death. 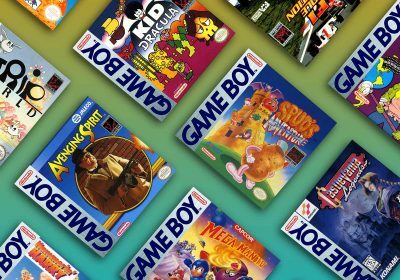 These two factors help brew up a strong library of games that have high collectibility among gamers that are just now finding out what was so great about the Dreamcast. There are two major trends you will notice in the list below. First of all is the dominance of fighting and shooting games, mostly of the 2D nature. 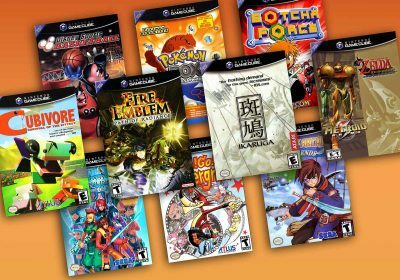 This is of little surprise to those that know the Dreamcast well as there games are some of the main draws for the system — especially when they don’t get ported to other systems. The second trend you may notice is that Capcom dominates the top-value domestic releases. Capcom was one of the few third party publishers to really support the Dreamcast, but they had more niche releases that didn’t warrant as many copies as Sega did with their first-party releases. Below you will see two prices beside each title. The first is the average daily selling price, which is typically the going rate for the game by itself. The second price is the highest price for a complete copy of the game in the last three months. The list is ordered by the balance of the two prices. 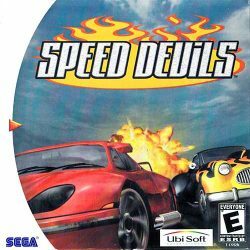 The Dreamcast had quite a few racing games in its library and Speed Devils was an above-average effort from UbiSoft. The standard release of the game featured a wide-grinned, sun glasses-wearing devil along with the game’s logo. It turns out that retail giant, Wal-Mart had a censorship policy restricting items that featured Satan’s likeness. The interesting thing is that the disc itself still has the devil images on its artwork. Instead of giving up potential sales, UbiSoft decided to make a cover variant of the game that had a more minimal text and flame-based logo. To this day, it has been very difficult to find this variant. In a way, this is surprising as you would think that Ubisoft would have only made this variant if there were enough copies to be sold to be worthwhile. Perhaps many Wal-Mart shoppers didn’t keep the case for their games as often? For what it’s worth, there is a Buy It Now on eBay for $1600 at the time of this writing. 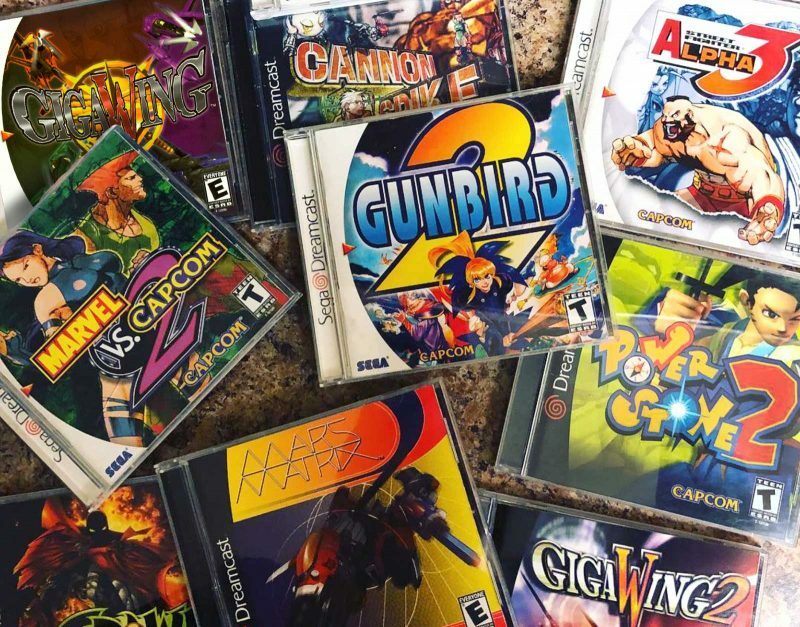 The Dreamcast was a great platform for 2D shooters and received a handful of solid releases in North America, mostly produced by Capcom. 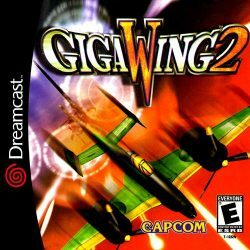 While you will see a few of these Capcom shmups show up on this guide, Giga Wing 2 is the hardest to find and most valuable as it was released closer to the end of the Dreamcast’s lifespan. While it had much of the same bullet-hell dynamic of its predecessor, Giga Wing 2 had more graphical polish being ported from the NAOMI arcade hardware instead of the CPS2 hardware of the original Giga Wing. A lot of these Capcom gems have really taken off in value over the last few years. Up until 2014, you could have scored Giga Wing 2 for $32 to $50. Cannon Spike is very similar to the overhead shooting Smash TV or Commando and has a heavy focus on boss battles. However, Capcom brought this dynamic to the Dreamcast with graphical glory and also features playable characters and cameos from other Capcom franchises like Mega Man,Ghosts ‘n Goblins, Darkstalkers and Street Fighter. Between the raw firepower, grand explosions, and plenty of Capcom fan love, it’s difficult to resist adding this to your collection. 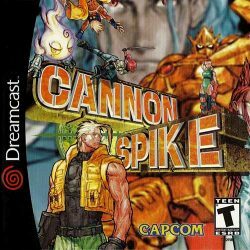 Cannon Spike was released during the Dreamcast’s final Christmas and did not receive much promotion or word-of-mouth until it was long gone from stores. The game has still never been ported to another platform, making it one of the best remaining Dreamcast exclusives. Much like some of the other Capcom gems, you could score Cannon Spike for $50 or less before 2014, but has climbed aggressively in value since then. As one of the most popular vertical shooters released in the US, Mars Matrix still commands a respectable price from collectors. And with the high likelihood of it remaining as a Dreamcast console exclusive, that value should hold up for a while longer as shmup fans build up their Dreamcast collections. Even though we have seen some great value appreciation of Dreamcast shooters over the last four years, Mars Matrix has merely doubled in value over the last five years and dropped just a bit in the rankings. Rival Schools 2, known as Project Justice in North America, obviously built on the original and remains as one of Capcom’s most popular (with a rather nice following) 3D fighters. Like its predecessor, Project Justice has a lot of quirky characters that cater to the anime crowd and is just a real pleasure to play. It isn’t especially rare, but Capcom released it in May 2001, several months after the Dreamcast was discontinued by Sega. 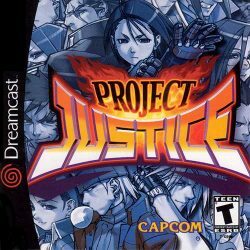 Interestingly enough, Project Justice has decreased in value a bit since it topped the Dreamcast North American value charts in 2008. Disc-only copies are about 10% cheaper, but complete and sealed copies have seen their values cut in half over the last decade. It had a spike in 2008 before calming down. 2016 saw another pricing peak before dropping back down again. This is all occurring while Project Justice remains a Dreamcast exclusive. This shmup from Psikyo and Capcom. While it is a solid shooter of good pedigree, it didn’t really innovate much from a gameplay or visuals perspective from its Sega Saturn predecessor. The Dreamcast version, however did give Darkstalkers’ Morrigan in as a playable character. 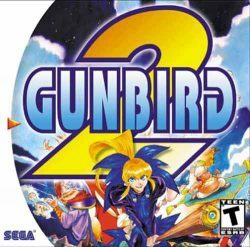 Gunbird 2 has always been a modest collectable on the Dreamcast as a solid shmup in a rather limited run. It lingered in the $25 to $50 range for a number of years before gradually climbing in value in 2014. 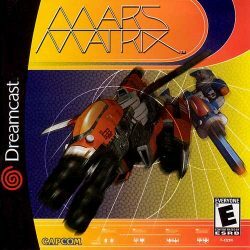 The Dreamcast version is currently the only physical release of the game. And while iOS and Android have seen ports of the game, it hasn’t yet surfaced on any other consoles. However, Gunbird 2 is due out on the Nintendo Switch sometime in the near future, so it will be interesting to see if there’s an impact on the game values after arriving. 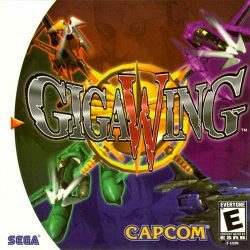 It’s not surprising that the original Giga Wing has cracked into the top ten domestic Dreamcast collectible releases as the sequel is one the most in-demand. While not quite a tricky to find as part two, it did not have high production numbers due to the the genre being rather niche. It was pretty easy to find between $20 and $50 up until 2015. It’s easily doubled within just the last few years. It helps that the game remains a console exclusive on the Shmup-heavy Dreamcast. 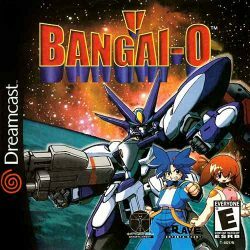 Treasure is known for quirky action games, and Bangai-O is definitely on the higher part of that spectrum. This multi-directional shooter is all about explosions, chaos, and fun. 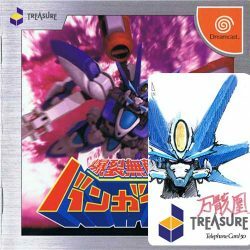 Like most Treasure games, it’s a cult classic and is the Dreamcast version was the only English version of the game for a while. 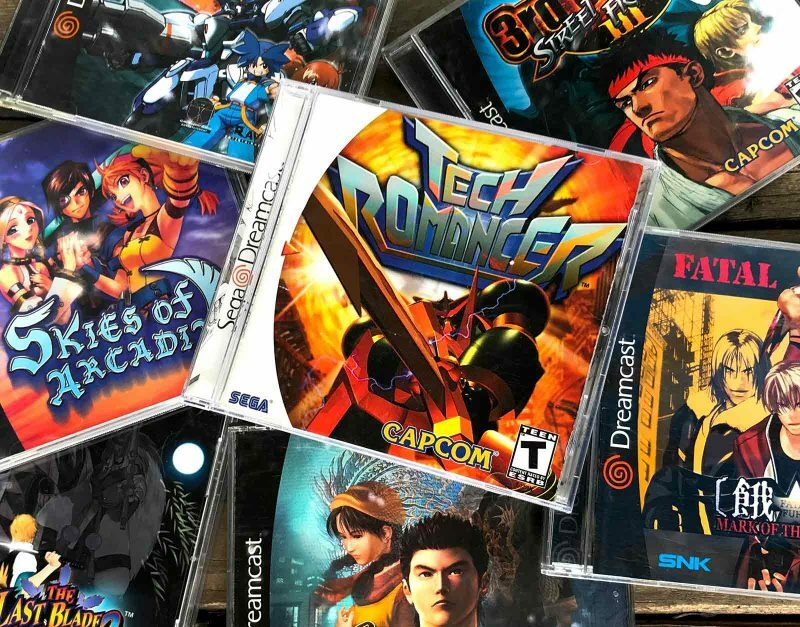 It has since seen releases on more modern consoles, but the value of the Dreamcast game remains steady over the past decade. Complete copies command nearly the same values they did a decade ago, but you can score a disc-only version about $10 cheaper. Tech Romancer is a beautiful anime-impaired 3D fighting game by Capcom fought on a 2D plane. In this hidden gem, you fight as Mechs (designed by established anime creators, Studio Nue) and release power-ups by destroying the environment around you. 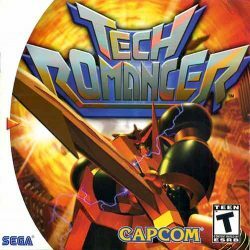 The Dreamcast version also includes an unlockable version of the Tech Romancer anime. The game remains as a Dreamcast console exclusive and has remained a hidden gem for fighting fans. Mint copies have only appreciated modestly, while disc-only copies have nearly doubled in value over the last decade. This survival horror gem is campy, but in an ’80s B-horror movie kind of way. Unfortunately this makes the game more funny than scary, though the large resource system is probably meant to make up for it. The complexity of the game system and the controls often leads to frustration. However, many survival horror fans have found an appreciation of the game. 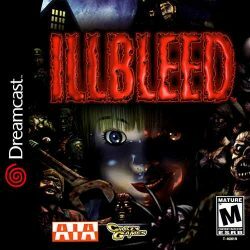 Illbleed has remained a Dreamcast exclusive to this day. Between exclusivity and having an underground following, Illbleed rose out of the common bin prices of $10 to $20 around 2011 and has risen gradually since then. 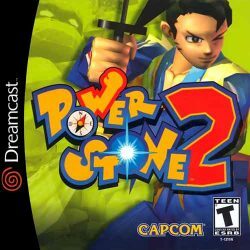 Capcom may not have had much success with 3D fighting games, but it really got it right with the Powerstone series. Both games are fun-filled arena fighters that allow full 3D movement and interactive environments. Power Stone 2 added 4-player support and is significantly harder to find than its predecessor. It’s also very surprising that the series hasn’t been brought to any other platforms besides the PSP. Being a party classic and a console exclusive, this Capcom gem has consistently placed well on this list. It’s had a nice 30% increase over the last decade, but still a reasonably priced collectable. 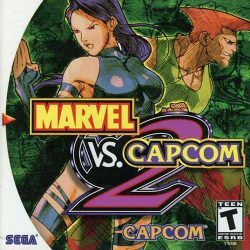 If you wanted the biggest mashup of characters in your fighting games, Marvel vs Capcom 2 was the place to be. It may not be the most balanced game for tournaments, but it is still one of the hottest mainstream 2D fighters out there. Most gamers may flock to the PS2 version, but the Dreamcast release still commands strong collectability. The more recent Marvel vs Capcom games have stolen some attention from part 2, but some fans still swear by this installment. MvC2 has also been released digitally on XBLA and PSN. Even though the Dreamcast version still commands some dollars despite cooling from it’s $50 to $100 range in 2008. 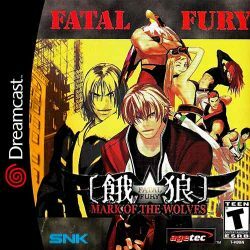 Mark of the Wolves was ported from the Neo-Geo and served as the last game in the Fatal Fury series. 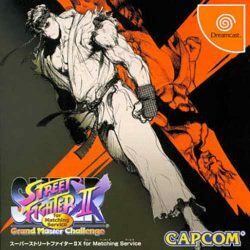 It is essentially SNK’s answer to SF3: Third Strike as it shares many of the same types of advancements, but it has its own unique fighting elements and showed off SNK’s strength in character design. The Dreamcast version ended up on store shelves more than six months after the Dreamcast’s demise and quickly ended up on clearance shelves. Since then, the game has slowly grown in popularity amongst 2D fighting fans and has seen a number of digital ports. The Dreamcast version still remains the only North American physical copy of the game outside of the Neo Geo. Mint copies has gradually increased in value over the last decade, but loose discs has become a bit more affordable. 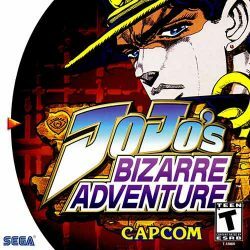 Developed by Capcom and based on the manga Jojo’s Bizarre Adventure. It’s a four-button fighter, three of which serve as attacks while the remaining is for the innovative Stand feature (if you want to read more, check out its feature in the Fighting Hidden Gems or Dreamcast Fighters guides. A little odd, considering it’s Capcom, but they handle the change well. This game also has some absurdly awesome super moves and great animation. The game has always been a bit of a rarity considering Capcom’s production, but has gradually been increasing in value over the years. It’s a great hidden gem for fighting fans. While it did see an HD remaster on PSN and XBLA, the Dreamcast version remains its only physical console port. With an upbeat quest and some innovative and fun ideas, Skies of Arcadia lets you venture off to distant islands to uncover a number of secrets. Unlike other RPGs which wait until the mid-point to give you an airship, Skies of Arcadia does it right from the bat by bequeathing Vyse and crew with a ship of their own to sail the turn-based combat infested skies. The world is comprised of floating islands, and you use your air ship to travel among them while playing Robin Hood with other pirates. While it was one of the Defining Games of the Dreamcast, it didn’t become as big of a seller as Sega would have hoped. 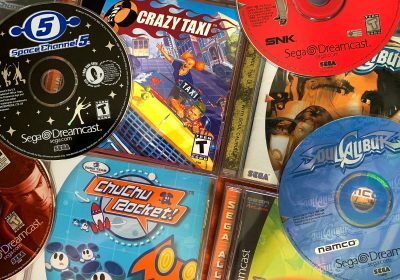 It’s always been an in-demand game for Dreamcast collectors (in $20 – $70 range for a number of years), but has been gradually appreciating and rising on this list. There was also a tweaked version of the game released as Skies of Arcadia Legends on the Gamecube which has also maintained its value nicely. Yu Suzuki’s Shenmue project, which began development on the Sega Saturn became known as one of the most ambitious and expensive video games of all time. It had much hype, especially in Japan prior to its release. However, the joke was that every existing Dreamcast owner would have to buy two copies of Shenmue for the game to turn a profit. To help incentivize pre-orders in North America, Sega offered a Limited Edition that had a special marking on the cover and included a soundtrack CD. 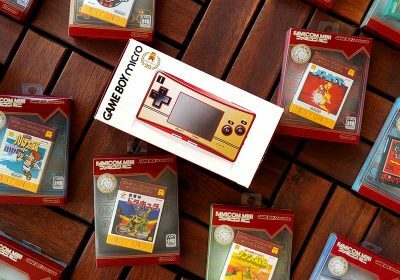 There ended up being 30,000 of these Limited Edition units produced. Not especially rare, but they are not nearly as common as the standard Shenmue release. 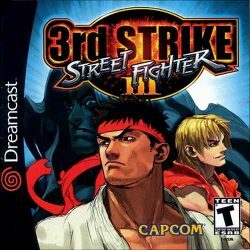 While it did not get the attention of Street Fighter 2 and the Alpha series, Street Fighter 3: Third Strike is one of the best installments in the series, especially when it comes to finely-tuned tournament players. Its combination of smooth animation, great characters, and a new parrying system keep fighting enthusiasts coming back for more. Even though the game was included on the Street Fighter Anniversary Collection for the PS2 and XBox, and had HD remakes on XBLA and PSN, the Dreamcast version is still in strong demand. It hasn’t really increased in value much (actually mint copies are just a bit more affordable), but still a nice collectors piece. Here’s the few titles that are especially hard to find out in the wild, but still have relatively low values. If you’re thinking about building a complete Dreamcast library, you might want to keep an eye out for these. This extremely limited version of Treasure’s cult-classic shooter was given out to exactly five people as the top prizes in a Japanese high-score competition. While the game itself is identical to the original Bangai-O, the Prize Edition can be identified by a sticker and two phone cards with the Treasure logo on the case declaring itself as a winner’s trophy. The calling cards were signed by the game’s lead designer, Hisashi Fujita and the award package also came a Bangai-O poster/flyer. The first two copies of these games have been sold, both very quietly. 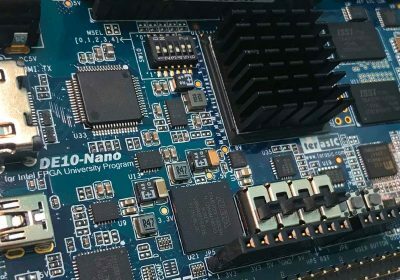 Its unknown the price of the first sale, but the most second was placed in the inventory of an online store for $500, and at that selling point was quickly snatched. That copy was confirmed to be missing the second phone card and sticker. A third auction settled in 2011 for $811, but there were suspicions about its legitimacy. 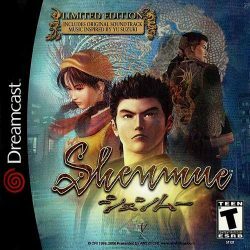 After the Dreamcast was already buried by US retailers and the last big name import releases like Shenmue II, Rez, and Ikaruga had been released, a small developer by the name of G.Rev (who worked with Treasure on Ikaruga) took a chance on the Dreamcast and helped start a trend of 2D shooters being released on the “dead” platform. 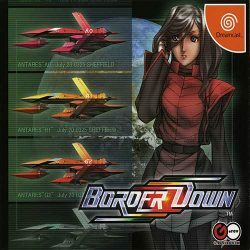 The production of this Limited Edition of Border Down was halted at 5,000 copies. Initially, it has the same print run as the standard edition, but the original has since been reprinted at least once, at least doubling its availability and the premium placed on the Limited Edition. The novelty of the release seems to have cooled down a bit in the last decade, however despite never being released on another platform. 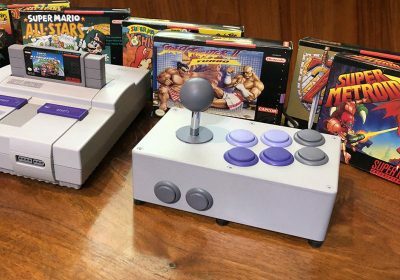 The Dreamcast already had one of the best 2D fighting game lineups among consoles, but it is hard to be complete without a solid port of an installment of Street Fighter II. Super Street Fighter 2X is possibly the best console version of the game that started the 2D fighter revolution. Every sprite is perfect. Every frame of animation is there. And the gameplay is as good as it gets. In fact, the later HD remixes of the games were based on this Dreamcast version. Back when the Dreamcast was thriving, this port also utilized Capcom’s online “Matching Service” for competitions. This gem has nearly doubled in value since 2014. At the time, it was considered mostly a collectors item with many modern ports being great options for SSF2T fans, but the recent increase only solidifies this recommendation. Price ranges shows are for games with case and manual since there are limited disc-only copies. 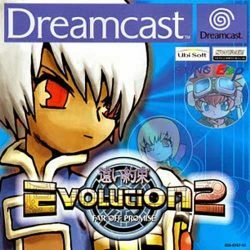 Evolution 2: Far Off Promise was a sequel to one of the early Dreamcast RPGs. It was fairly common in the North American dreamcast library, but it quite the rarity in PAL regions. As you can expect, RPGs take extra time to work on localization. The game saw its original release in Japan in late 1999, was released in the North America in the summer of 2000, but didn’t get released in Europe until November of 2001. By then, Sega had already announced that they were giving up on Dreamcast production. Since Ubisoft didn’t want to see their efforts go to waste, they still released the game, but at cautious quantity levels and was reported to be only sold at the GAME chain of stores in the UK (although Gamestation end Electronics Boutique had been merged into the conglomerate at that time) . Evolution never did sell well enough to see additional runs. It’s been quite a challenge to find a complete copy under $200 USD, but you can score a bare disc for about $120 USD. 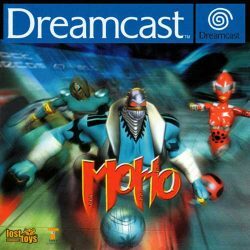 This odd combat action game with racing elements from Lost Toys and Take 2 Interactive is known as the only Dreamcast game to be exclusive to the United Kingdom. Even though it was approved by German and French entities (and the back cover copy was translated into German), the game was never sold in retail in those countries. It was also intended to be brought to North America under the name “Ball Breakers”, but was cancelled. 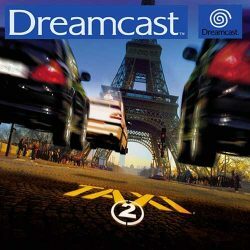 This racing game modeled after a French film is known for being the only Dreamcast game exclusive to France. The game itself is rather it notoriously bad for a racing game, but many PAL Dreamcast collectors typically are still on the hunt for this rarity. There is quite a premium for complete copies of this game, but bare discs can be found in the $75 USD range. This is probably because most collectors probably don’t want to bother with the game unless they have a boxed copy. I have Project Justice, my rarest game. The most I’ve seen a DC game go for was over $200 and that was Shenmue 2 sealed. O and BTW great site I come here quite often to re-live the DC experience. I have some pics of the Space Channel 5 boxset here, along with a lot of other Space Channel 5 stuff. And thanks everyone for sharing additional titles and prices. I’ll be updating this later on! I’ve got 1 of the 5 Bangai-O prized edition collectable. HAISUKOARANKINGU Tournament Final Results! ! Sorry to rez the dead but I happened to find a pristine (but opened) copy of Ikaruga and Bangai-O for five bucks at a store today. I asked how much they were and they said all Dreamcast games were 4.95 and buy one get one free. It only took 30 years for me to have a bit of luck so I hope they last me for another 30. Wow — that’s incredible! Congrats on the awesome find! I managed to snag Mars Matrix and Giga Wing, USA versions, for…. about 25 dollars each, complete and brand new condition. They aren’t that rare, to be honest. I see MM quite frequently around here in pawn shops, and have even spotted it in goodwill a couple years back. However, I believe Record of Lodoss War is less common than either of the previously mentioned games, as I had a harder time snagging it in decent condition. And I have not seen it around here either. Someone mentioned Chaos Field. It’s a pain to find for the DC, but not Gamecube. Just throwing that out there. Here in the west coast MM is no where near as common as Record of Lodoss War. Anywho, I’m surprised Sonic Adv. Limited Edition isn’t on the list or mentioned. Regarding Speed Devils. I’ve been told by a few on social media that the variant was simply the original release with UbiSoft simply covering the logo on the manual cover with a sticker logo that doesn’t have a cartoon devil. Maybe there is a printed version with the altered logo also??? Anywho, nice article. I’m just glad i have nearly every title on this list and then some. Oh that’s interesting to hear and would make sense! I’ve never picked up on that on the pictures… I’ll have to see if I can see the details of the sticker edges on the photos. What have you seen the Sonic Adventure moving for? I’ll have to keep an eye out. Sonic Adv. L.E. on average sells for about $500-$600 complete. It was a Hollywood video exclusive that was solely meant for rental purposes before the US launch if memory serves me right. Finding one CIB is a bit tough these days. Hi. Very interesting to read the comments. Samba box set,Moho,Evolution 2 and Third Strike. It’s subjective about white label sealed copies of titles. But I’ve 2 Project Justices and a few other Capcom brawlers as white labels too. Jo Jo,s Bizarre Adventure has eluded me. Capcom Europe have let me know there was a promo copy released. Wow that’s incredible! Love hearing stories like that! Of the better NTSC releases I have, I picked a lot out of the clearance shelf in Best Buy and the like. 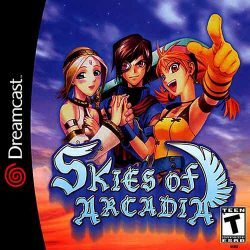 Once the Shenmue games are released on PC, all I need from this system is Skies of Arcadia. SEGA also owns that so hopefully we’ll also see a high definition release in the future. I have an almost complete PAL set and one of the titles I found hard to come by was Monaco Racing Simulation 2 online edition, I did some digging and apparently even the developers themselves weren’t aware it was released! Ubisoft just tacked an online mode to Monaco Racing Simulation and shipped it out towards the end of the Dreamcast life. Ooh Very cool to hear — thanks for sharing this information. I will keep an eye on these and adjust the guide accordingly once I see more data. I do not see it on this list but the Japanese Dreamcast set of Grauen no Torikago games is up there in terms of rarity with the Bangai-O prize edition. Literal Holy Grail to complete the set for Dreamcast collectors. Its a six game set and all of them were only released on the D-direct store online. Each game in the series gets increasingly harder to find and gets more expensive with Grauen no Torikago Kapitel 6: Senritsu being the cream of the crop and that fetches at least $400-$600 on its own complete. The entire set will run someone $800 bare minimum and thats being conservative. I put my set on Ebay a while ago for $2500 and it fetched immense interest. These games were like a Japanese drama interactive game or something and unfortunately they cannot be played at all with the servers down as online connectivity was required to play. I’ll have to look into those! A set of multiple games is a different comparison to a single game though. But if I can find some good info, I’ll work it into a revision of this guide.